Address: 6150 Midnight Pass Rd. The Island House Beach Resort offers the best in resort-style living while replenishing your spirit on the stunning sands of Siesta Key Beach. The simple elegance of this oceanfront paradise whisks you away as you take in the spectacular beauty that surrounds you. 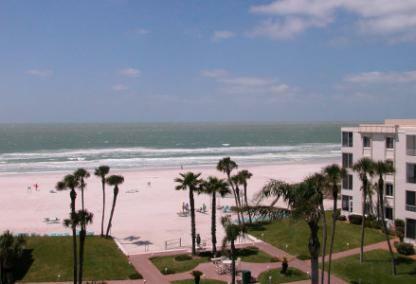 The Island House Beach Resort is one of the most desirable resorts on Siesta Key. Thes scenic beachside courtyard is perfect for enjoying a morning coffee, an afternoon game of shuffleboard, or a beachside gathering. Investors consistently choose the Island House Beach Resort for the vast array of floor plans, short-term leasing options, and superior on-site rental agency. The Island House Beach Resort offers a premier ownership and investment opportunity as it provides an average rental income equal to 90% of the gross investment. The community has four spectacular oceanfront apartment buildings and forty charming villas with intuitively designed floor plans ranging from two to five-bedrooms in size. The property includes 73 homes with anywhere from 939 to 4,590 square feet of living space, providing options for everyone. Each unit of the four mid-rise apartment buildings offers breathtaking Gulf views from the private comfort of a spacious screened lanai. 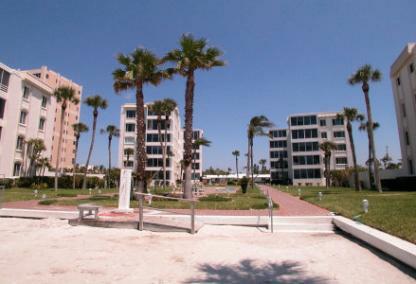 The apartments surround the oceanfront courtyard nestled along the world-renowned Siesta Key Beach. This beach has powdery white quartz sand, turquoise Gulf waters, and some of the most spectacular sunsets on Florida’s West Coast. The villas are two-story buildings situated on the east side of the property conveniently located near the large heated pool, entertainment lounge, and clubhouse. Meander down the picturesque cobblestone drives to the private Crescent Beach or relax poolside next to the fully equipped clubhouse and recreation lounge. Almost everything one could ask for in a luxury resort is here. Residents and guests enjoy the convenience of having a grocery, darling boutiques, and an array of exceptional dining, all within walking distance. 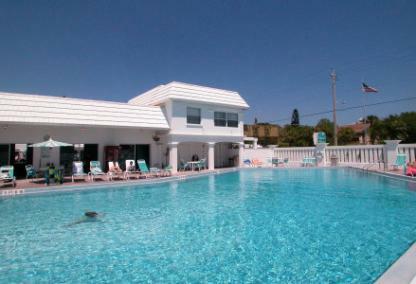 The Island House Beach Resort is close to the South Siesta Key Bridge, which allows for easy access to the mainland’s restaurants, shopping, music, golf, and a multitude of fun activities and popular tourist attractions. The resort’s highly desirable location on Siesta Key makes it easy for residents and guests to enjoy all of the nearby attractions. A world-class beach, Siesta Key Village, Point of Rocks, Longboat Key, Mote Marine Laboratory, Marie Selby Botanical Gardens, St Armands Circle, the Hillview Area, and always popular Downtown Sarasota are just a few of the options nearby.